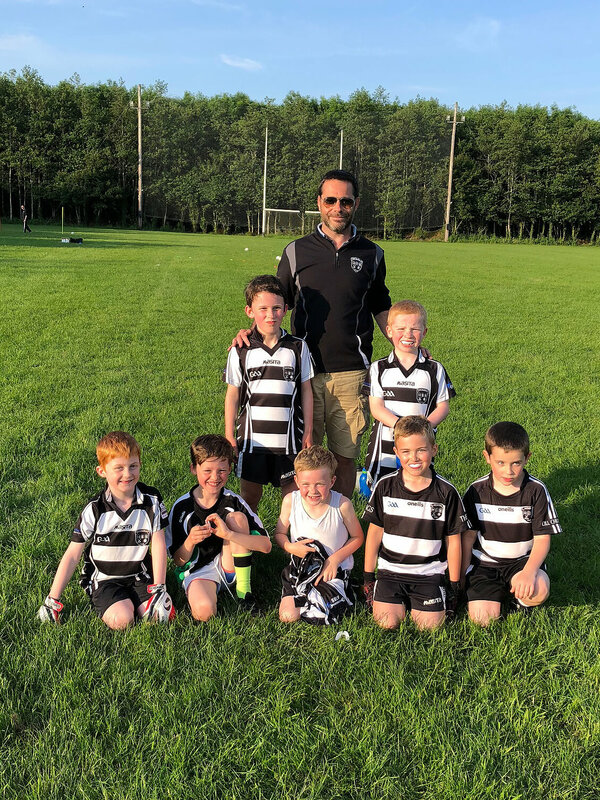 On Tuesday evening Kilcullen U8 Boys were on the road for their 2nd league fixture. In Division 1 the boys travelled to our close neighbours Moorefield. This was a highly anticipated fixture which promised to be a close, hard fought game with high levels of skill and determination. 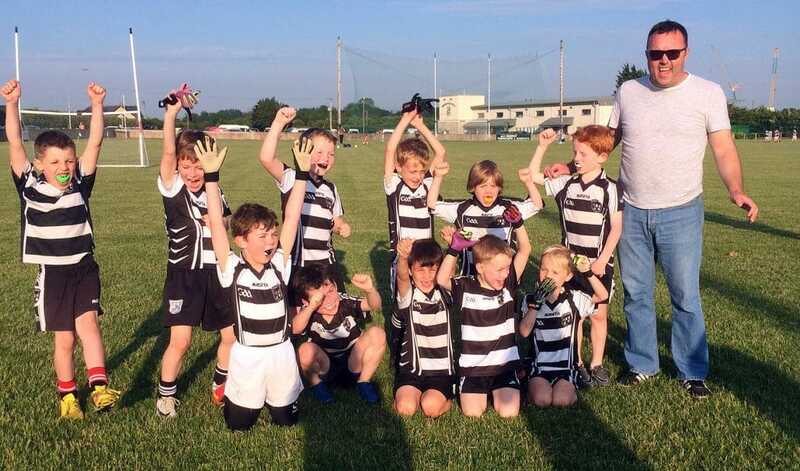 In the end the Kilcullen supporters were treated to a dominant display by the young ‘Rags’ who racked up a healthy score total which could have been much more only for the goal posts being too narrow and the woodwork getting in the way. 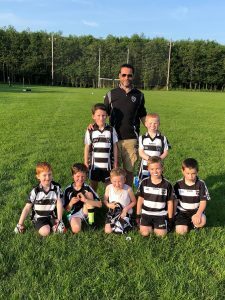 In Division 6 the ‘Magnificent 7’ travelled to take on Ballyteague. In the evening heat our 7 lads found themselves in a shootout with their opposition in a fast end to end game. Field conditions where challenging and in the end the home pitch advantage and lack of substitutes in the blistering heat got the better of our boys. Hats off to Ballyteague who deserved their victory however the 7 lads should be very proud of themselves. Coaches where very pleased with how the boys executed what was worked on in training during the games. This week we worked on taking 4 steps and bounce to get out of trouble and into space. Who said 7 year olds don’t listen!